Juniper ousts CEO Kheradpir over "leadership and conduct"
Juniper Networks has replaced recently appointed CEO Shaygan Kheradpir with Executive Vice President Rami Rahim effective immediately. Rahim has also been appointed to the board of directors. 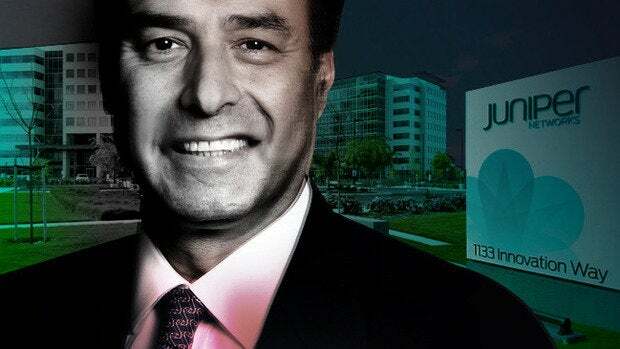 Kheradpir was removed by the Juniper board following a review of “his leadership and his conduct in connection with a particular negotiation with a customer,” the company said in a statement. “The board and Kheradpir have different perspectives regarding these matters,” Juniper said. The board's review will not result in any adjustments to the company's financial statements, Juniper said. Kheradpir was named Juniper CEO a year ago. Under pressure from activist investors, he implemented an “Integrated Operating Plan,” an effort to streamline company operations, reduce costs and return more to shareholders. Rahim is a 17-year Juniper veteran. He had been executive vice president and general manager, Juniper Development and Innovation (JDI), responsible for oversight of all research and development programs, strategy, development, and business growth. He has also overseen the ongoing development of silicon technology and the Junos operating system. JDI will continue to report to Rahim for the time being. Rahim started at Juniper as employee #32 and worked as an engineer on Juniper's first product, the M40 core router. Rahim was also one of the original architects of the MX, Juniper's flagship router. "Rami is the right chief executive officer to lead Juniper," said Scott Kriens, Juniper chairman of the board, said in a statement. "He is a talented leader who brings deep instincts about the networking industry, and enormous support from our employees and our customers. Rami has succeeded at every challenge he's ever taken on at Juniper, and we couldn't be more excited about his ability to lead this company." An internal Kriens memo, obtained by Network World, states that the company had doubters when it came to industry leadership. “…Not everyone sees us today as leaders,” Kriens states in the memo. “While many still believe in us, others are skeptical, and we have given them some reason to be. While some of our challenges are felt by the entire networking industry, some are made more difficult by doubts about Juniper and some of those doubts have been brought on by Juniper itself. That stops today. During Juniper's conference call on the CEO switch, Kriens said that after a board review of leadership and negotiation with a particular customer, "It was time for a change." Kheradpir's conduct was "inconsistent with expectations," Kriens said. A review of company leadership is a recurring process, he said. When aligning that review with Juniper's "definition of leadership...we felt it was time for the change we announced today," Kriens said. Rahim is "authentic, trusted, and a powerful example of Juniper in action," Kriens said.